Here’s a light lunch I enjoyed on a Bernadette Curran plate. 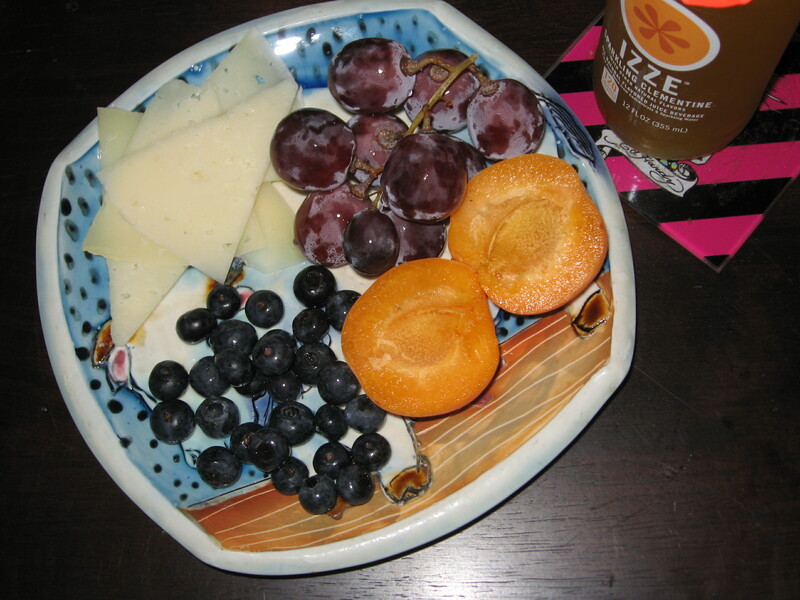 It’s difficult to make out covered in blueberries, apricot, grapes, and Manchego cheese, but the animal spackled on the surface of the plate is an impossibly broad-shouldered bull. I bought it for my husband because he’s such a shoulder-heavy fella, and what a generous guy to let me use it, too. 😉 Yum! My food on a nice piece of pottery by Bernadette Curran.